Until this past weekend, I was going to wait to do the Iron Dragon post. Talking to Xie, this post became a priority. It all was because of a revelation I had in the early in 1989. I shared it with her. She encouraged me to get this story out sooner for all Gen-X Cedar Point Guests. This theory is of the highest importance. However, we will get to that in just a minute. 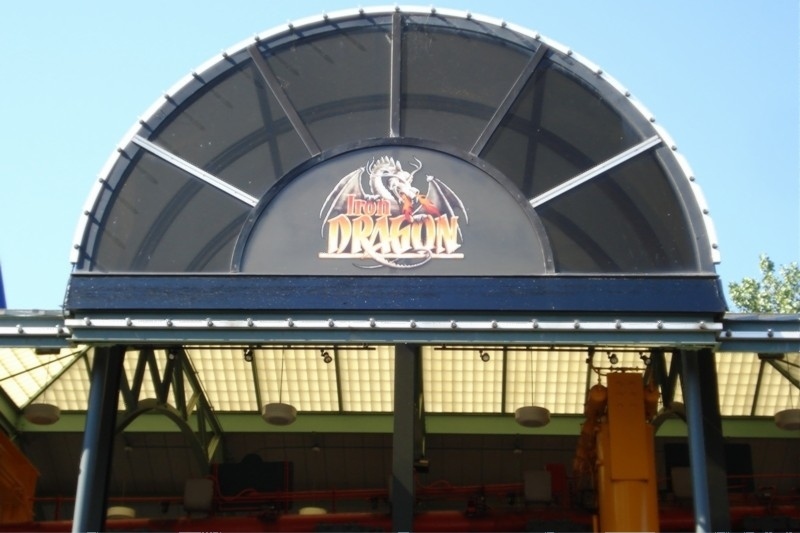 The Iron Dragon was new to Cedar Point in 1987. It was Cedar Points first suspended roller coaster. 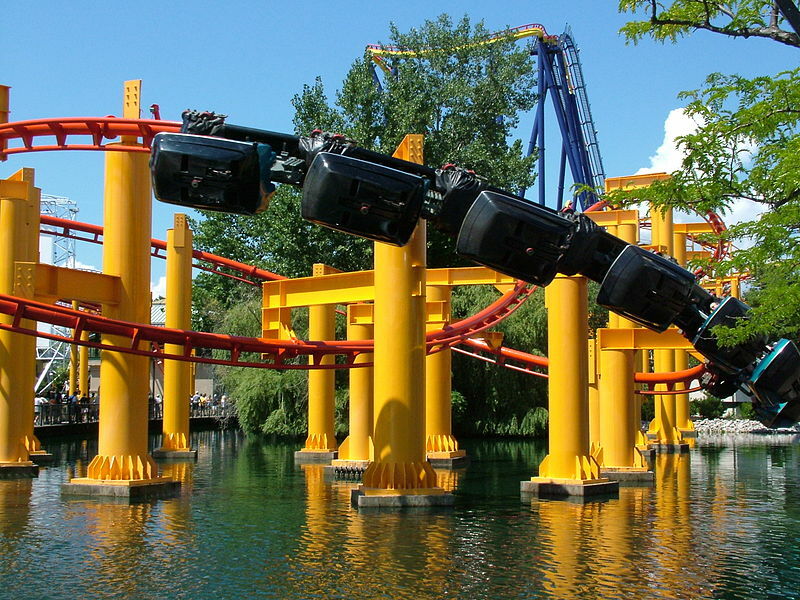 In fact there have only been two other suspended roller coasters at the park constructed at the park so far. These are The Raptor and Wicked Twister. If rumors are true there will be a fourth one at the park next year (RIP Disaster Transport). That year that I was excited about going to the park. The commercial below was playing on TV every afternoon during cartoons. At ten years old I was already a coaster lover. I couldn’t wait until that yearly summer visit happened. When we made it to the park I saw this gray and red monster (now red and yellow) at the end of the Midway. I knew I had to ride it. My father waited through the long line with me. I got to ride the magnificent beast. It was fantastic and worth all the anticipation. 1987 was an extra special year to me. It was the first time I managed to go to Cedar Point more than once. My aunt Judy, uncle Harold, and my cousins came to stay with my parents and go to the park. I went along with them and reveled in the fact of how lucky I was. I rode the Iron Dragon again and it didn’t disappoint. 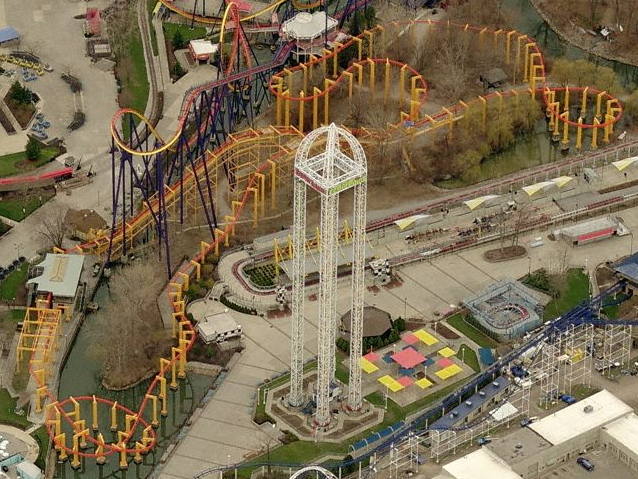 The most unusual thing about that visit was that it was the only time I ever got sick at Cedar Point. I don’t think my relatives had ever been to Cedar Point before (at least not regularly). They just sped through the rides and it was too much for me. Too many rides way too quickly. I became nauseous. I took an hour break of not riding anything. I knew I couldn’t keep going. I was also disappointed that I couldn’t just push through the nausea. I had the despair of being in the middle of heaven and stuck on the sidelines. The Iron Dragon was the last ride I managed to get through before I had to stop. I started feeling sick while we were in line. There was no way I was going to let that stop me from riding it a second time that year. When the ride was over I couldn’t go on. The Iron Dragon conquered the eleven year old version of me. It was worth it. I noticed while randomly singing the song in my head that it went along perfectly with the Iron Dragon ride. 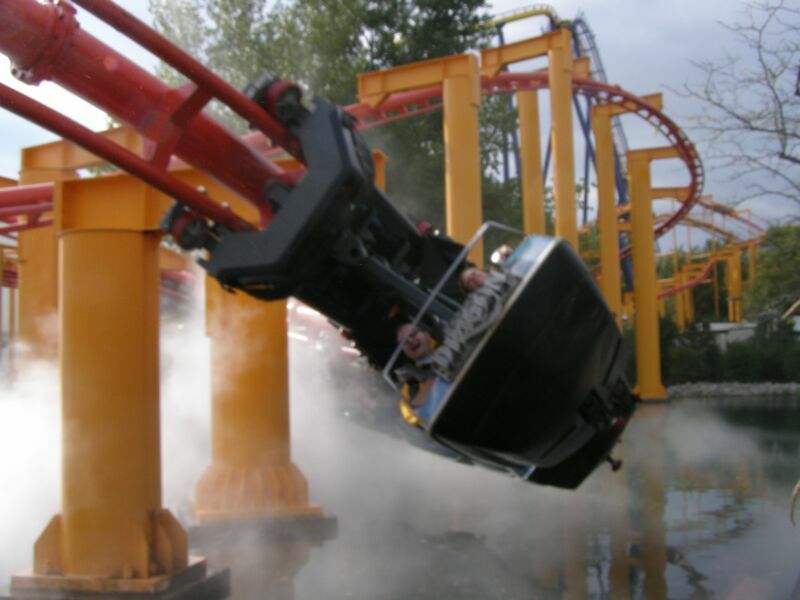 At that moment it gave the ride so much awesomesauce that I started looping the line. Turning thirteen that summer I didn’t want to admit that I was still watching the cartoon to my friends. So I confided this secret with one other person, my brother. My brother was only seven at the time. He tried it out and thought it was awesome. So in one of those rare brother bonding moments we shared, there was a secret. It was something I found embarrassing. My brother, at least, confirmed it worked. I wasn’t going to take confirmation from a seven-year old on what was cool. I wasn’t going to confide in my friends. My brother on the other, well he did attempt to confide in my friends. My brother was tagging along with my friends and I as we wandered through the park without parents. While we were waiting in line for the Iron Dragon my brother started to explain to them what I had said. I played dumb. I said I didn’t know what he was talking. I totally sold my brother my up the river for whatever ever sense of coolness I had (really I didn’t) at thirteen. This leads up back to this past week. I told Xie that I was going to write this article. I was going to admit to the world that I sold out my brother over this song. She had not heard my Heathcliff theory before. It was something I still did, I just never thought of it. I was no longer embarrassed over it, it was just something in the background. She thought it was awesome and wanted to try. We picked up Brian on Saturday afternoon and headed to the park. After riding Ocean Motion, Xie had me explain the Heathcliff theory to Brian. They both wanted to test it out. We headed straight to the Iron Dragon. We managed to just walk on the ride. Xie and Brian rode in the front car and I rode right behind them. While we were going up the hill they confirmed with me on where the song started. It starts the many the train is free of the hill and was moving downhill. So all three of us are singing the Heathcliff theme as we are riding the Iron Dragon. They have confirmed that it seems to match up. They now think the ride is that much cooler. It all starts with an idea that you might be embarrassed about. Something that you are afraid to tell people during that age you care what other people think about your stupid ideas. After you grow past that, you share your crazy theories and people think you are awesome (unless your ideas are completely nutjob of course). I’m almost more likely to get ostracized for keeping this to myself for so long.